SAN LUIS – Eduardo, 14, crosses his legs and swings them under the dining table. He pokes at the royal-blue putty he has just mixed up, staining his hands. Gel shapes his black hair into peaks. But now, in the spring semester of eighth grade, he isn’t so sure about San Luis High. The word is, because of overcrowding, registration requirements will tighten. 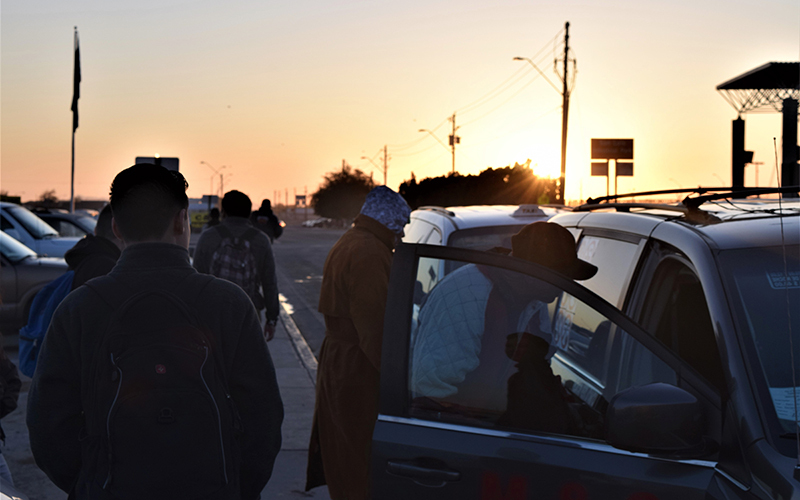 The Yuma Union High School District had received complaints blaming the crowded conditions on students who live in Mexico – students like Eduardo. If multiple customs officers happen to be working, it’s a good day: It only takes Eduardo an hour or so to cross. If there are only one or two officers, his wait extends for an hour and a half. 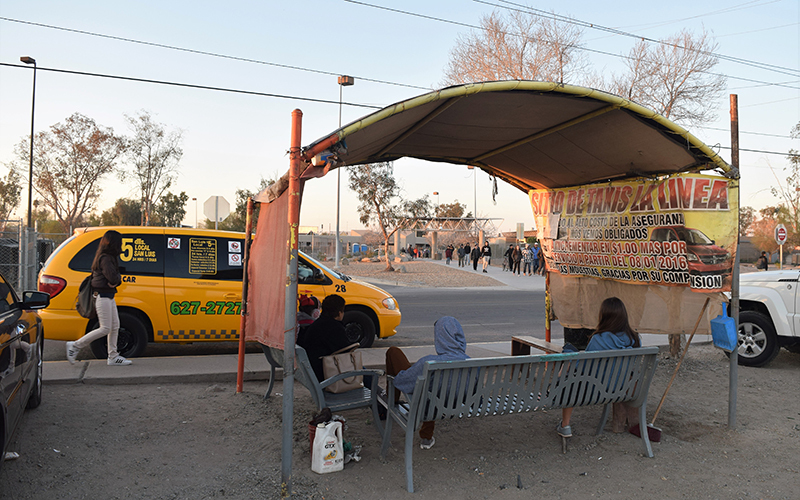 Vans for hire also gather on Urtuzuastegui Street, the first street encountered on U.S. soil. 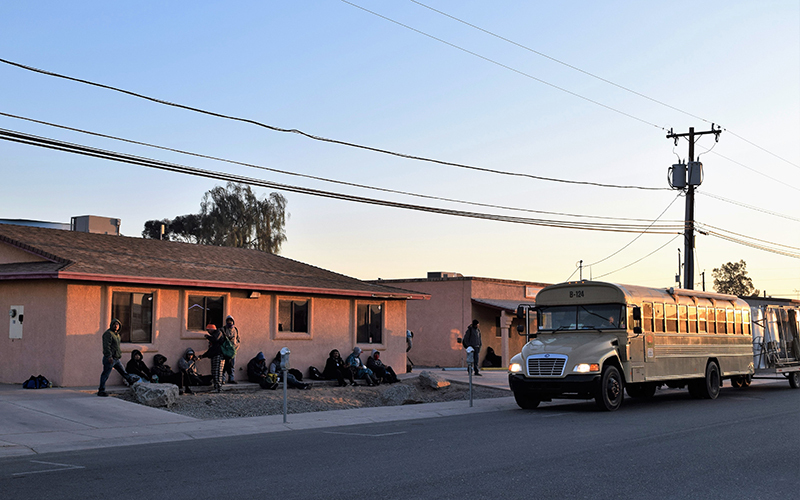 By 6:30 a.m., they’re full of uniformed children, mostly bound for San Luis Middle School, Southwest Junior High School and San Luis High. Tuition for the 2017-18 school year at San Luis High is more thqn $4,600 per student and can be paid in monthly installments. 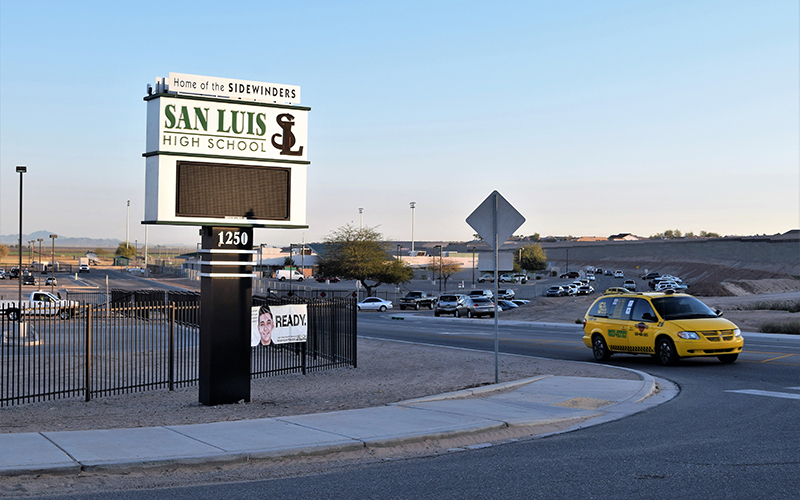 As of March, nine students in the district paid tuition, including three at San Luis High. Eduardo and his mom said they never knew paying tuition was an option, but at any rate, Alicia said she can’t afford it. 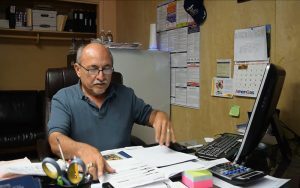 Thompson said the district has met with the parents of more than 300 students who hope to enroll for the upcoming year. 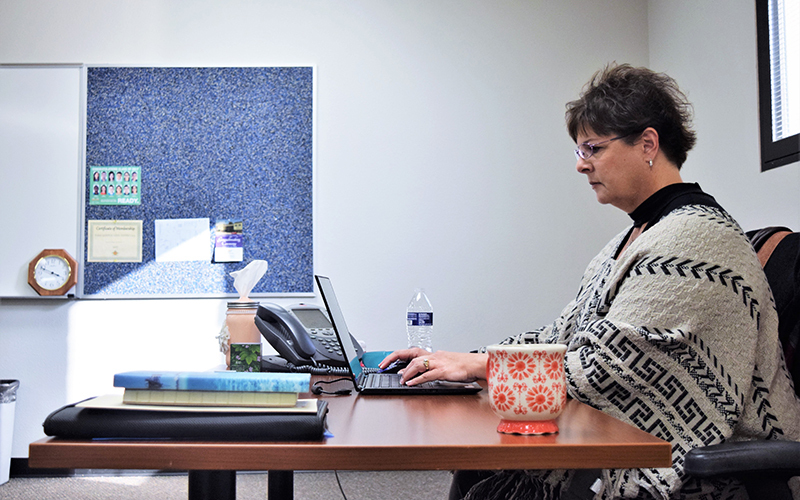 They are being asked to prove their district residency or pay tuition, prompting accusations that Thompson is tossing kids out of school.